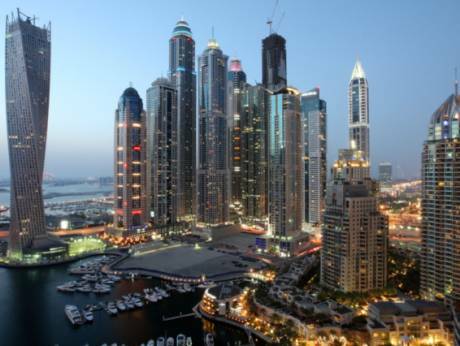 In recent months, the media and the analyst community have hailed the “maturation” of the Dubai real estate market, even as they have continued to harp on the sluggishness of prices and investor sentiment. An examination of the term reveals that there are specific criteria that academia place for that term to be applied. The matrix includes an admixture of regulatory measures as well as information transparency, which Dubai has more than complied with over the last decade due to the reforms implemented by Rera. But here is a particular emphasis on “price adjustment mechanisms”. It is the behaviour of prices that needs to be scrutinised to ascertain the extent of “maturity” that Dubai has achieved. The meaning of maturity applied to all spheres of life is largely relative and the property market is no different. Perhaps the most comprehensive framework for real estate was defined by Keogh and D’Arcy in 1994 when they applied a normative economic model to the problem of market maturity. Markets where exaggerated price volatility were observed suffered from problems such as inadequate liquidity, insufficient flow of information, inadequate market expertise, a sub-optimal banking system that did not offer enough housing finance, and, lastly, an ineffective regulatory framework. Keogh and D’Arcy observed that where the infrastructural and regulatory mechanisms were in place, market participants responded with greater confidence and this is reflected in a smooth process of price adjustment. Cities that embraced on such measures were likely to be judged on their efficacy by the reduction of price volatility. More specifically, they, and subsequently other economists, concluded that the level of market maturity was directly correlated to the reduction in price volatility observed (using a number of statistical criteria). When Dubai is examined through this lens, we observe that price volatility between the first (2002-2008) and the second cycle (2009-end 2013) reduced by a factor of 2.5 standard deviations. Moreover, in the current cycle (2014-to date), volatility has been further dampened by 1.5 standard deviations. This is a staggering achievement. Even more staggering given the fact that despite empirical observation that year over year supply forecasts given by analysts have been laughably inaccurate, we know that over the next decade the number of units in the freehold market are expected to increase by over 50 per cent. This implies that despite a substantial increase in housing supply and macroeconomic headwinds that have captured the zeitgeist, price movements appear to be smooth. Some would even say oblivious. Curiously though, it is this lack of volatility that has been offered as evidence of market sluggishness. However, what can be observed is that Dubai’s price cycle is increasingly converging to the movements of Tier 1 cities such as New York, London, Paris and Mumbai. There, prices trade at a structural premium to not only other parts of the country, but over and above most other markets in the world. While there is a cornucopia of reasons for this, central is the fact that reduced price volatility is a critical variable in gaining the confidence of investors and serves as precursor to attracting institutional money flows. Unsurprisingly, what emerges therefore, is a tautology among analyst claims of market maturity in the same breath as “market sluggishness”. A dampening of price volatility is inter alia the most critical variable in the quest of a mature real estate market. In the current cycle, when compared to 2008, price volatility by most measures have fallen by more than 60 per cent, suggesting not only greater market depth and liquidity, but also a greater dissemination of information and therefore a more transparent mechanism. From a historical standpoint, this period of “marking time” is indicative of a period of healthy growth (something that is already underway in some segments). What is clear is that from a macro perspective, there has been a “de-risking” of the market due to the measures implemented over the last decade. History suggests that price stability and lower volatility that has been achieved as a consequence is a precursor for a new period of growth. As recent headlines of institutional money inflows suggest, this has not gone unnoticed.